On this page we provide background information and updates on our watershed conservation planning efforts. Our Rivers Conservation Planning initiative is underway! Requests for proposals (RFP) were issued on September 26th to five local consulting to assist the CCWA with drafting and preparing the Rivers Conservation Plan (i.e., watershed management plan) for 204 square miles of the watershed (excluding the upper West Branch previously done by Trout Unlimited - Codorus Chapter). The RFP's are due October 15th and will be reviewed by the Board at its regular meeting that evening. The Board will select a contractor and forward their selection to the Pennsylvania Department of Conservation & Natural Resources (DCNR) for approval in November. The next step is forming a steering committee to implement the planning process, including public input. 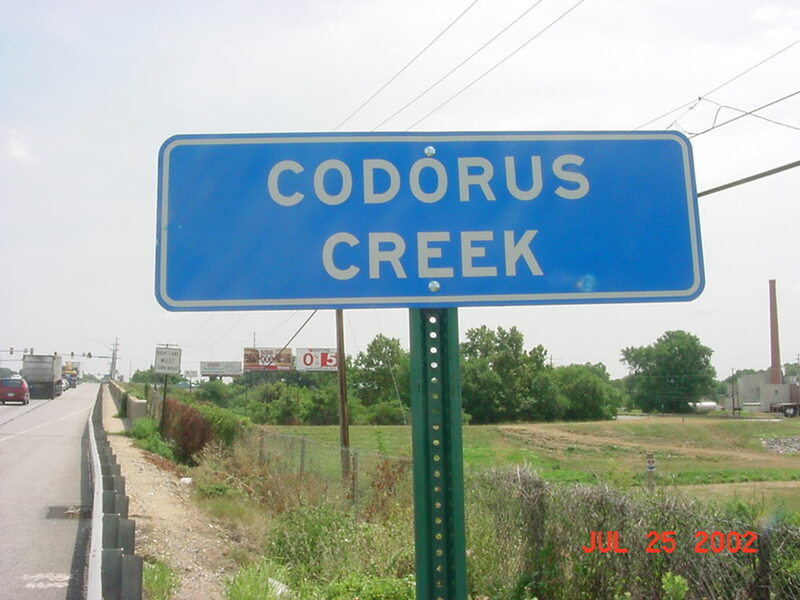 The Steering Committee will consist of a seven (7) member executive committee and four (4) focus groups based upon subwatersheds (i.e., East, South, West, and Lower Codorus Creek). Focus groups will provide a forum for the public input process. Watershed planning process details are given on our "Watershed Conservation Plan" page. In March of 2002, the CCWA was awarded a $50,000 Rivers Conservation Planing grant from the DCNR. I met with DCNR's grant manager on June 29th to discuss the grant's requirements and finalize the grant agreement. An amendment to the grant is being prepared requesting additional funding (up to $10,500) to address potential costs associated with the scope of work and completing the project. The grant's term began March 31, 2002 and runs to March 31, 2005. Both municipalities and appropriate organizations are eligible applicants. The Department provides grant funding at a level not to exceed 50 percent of eligible costs. An applicant may submit one application per funding cycle under this program. Rivers Conservation Plans: Grants to study watersheds or rivers, including streams and creeks, to identify significant river resources, potential threats to these resources, and recommend restoration, maintenance or enhancement actions. Rivers Implementation Projects: Grants directed to resolution of specific issues for a river that is on the Pennsylvania Rivers Conservation Registry. Examples of eligible projects include: investigations into river access, water quality monitoring, and preparation of ordinances and zoning documents. The planning area includes the East, South and West Branches (below Spring Grove) and Codorus Creek to the Susquehanna River. The watershed planning area is approximately 204 square miles. We're waiting for approval from DCNR to proceed. The project's schedule has been posted on our web site. The next step is forming the project's Steering Committee. Steering Committee will consist of seven (7) volunteer members and stakeholders (4 CCWA members and 3 stakeholders). Volunteer members will be required to attend at least four (4)-planning meetings over the next two years. The first meeting of the steering committee is planned for May 20, 2003 (Annual Meeting). The tasks of the steering committee is to provide BH with project development guidance and review and approve all deliverables. If you would like to volunteer to serve of the RCP Steering Committee, please contact Gary Peacock, Chairman, at work: (717) 840-7430 or home: (717) 244-2397. RSVP by April 20th.